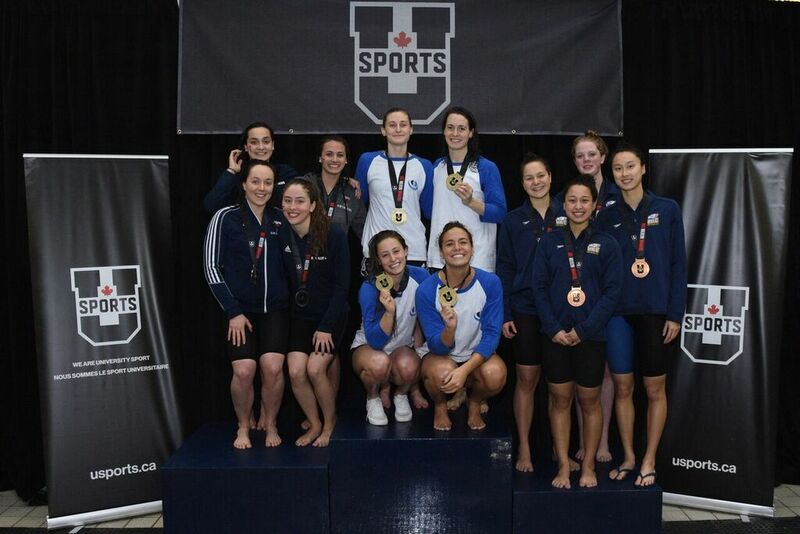 Varsity Blues swimming sensation Kylie Masse won two gold medals, breaking two U SPORTS and one Canadian record, on Day 1 of the 2018 U SPORTS Swimming Championships at the University of Toronto’s Varsity Pool. The reigning champion UBC Thunderbirds lead both the men’s and women’s standings. UBC’s men sit in first place with 323 points, ahead of the second-place Calgary Dinos (285.5) and host Toronto Varsity Blues (279). The McGill Redmen (181.5) and Western Mustangs (150) sit in fourth and fifth place, respectively. The T-Birds women are in front with 412 points, while the Varsity Blues (305) and Montreal Carabins (252) are in second and third place. The Dinos (170) and Victoria Vikes (107.5) round out the top five after Day 1. They’ve done their job on Day 1 and now they have got to keep the pedal to the metal and see if they can keep building on their lead. Masse, the 2017 world champion and world record holder in the 100m backstroke, opened the day by bettering her own Canadian and U SPORTS records in the 50 backstroke (26.24), while also breaking the U SPORTS record in the 100m butterfly in preliminaries (57.67). She struck again in finals. The 2016 Olympic bronze medalist broke both of her new Canadian and U SPORTS records in a time of 26.15 seconds to claim her third consecutive U SPORTS 50m backstroke title. She also went onto win the 100m butterfly gold medal for the first time in her career in another U SPORTS record time of 57.52 seconds. 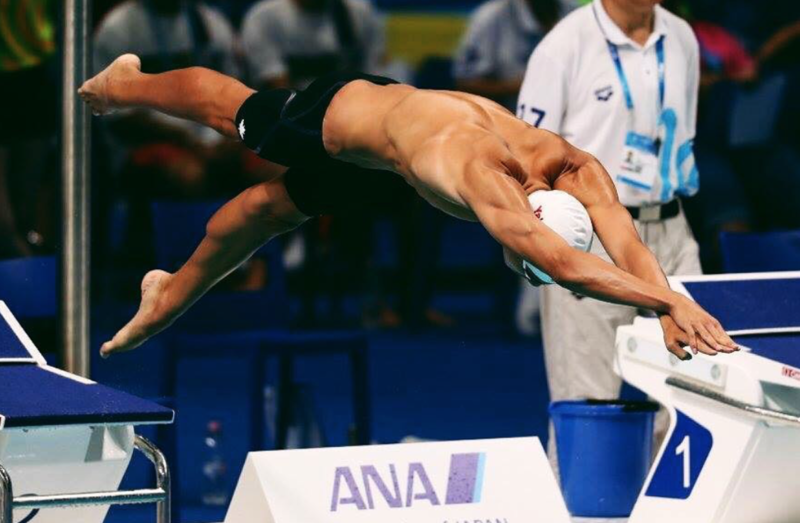 The other record to fall on Day 1 came from the Montreal Carabins 4x100 freestyle relay team. 2016 Olympians Sandrine Mainville and Katerine Savard teamed up with Camille Bergeron-Miron and Ariane Mainville to win the event in a new Canadian club record of 3:37.76. Leading the T-Birds on a dominant Day 1 were their four 2016 Olympians. Markus Thormeyer (1:43.78) and Yuri Kisil (1:44.50) opened the night with a 1-2 finish in the men’s 200 freestyle, while Emily Overholt (4:35.79) and Erika Seltenreich-Hodgson (4:38.07) led a UBC sweep of the women’s 400 IM podium. Megan Dalke picked up the bronze in 4:38.20. 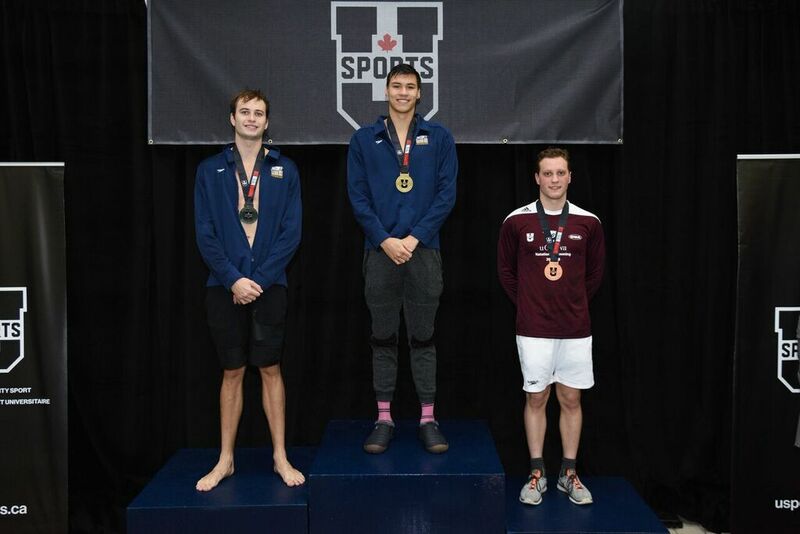 Josiah Binnema also reached the top of the podium for the T-Birds, winning his second career U SPORTS 100m butterfly title in 52.13 seconds. UBC wrapped up the night with a first-place finish in the men’s 4x100 freestyle relay as Thormeyer, Kisil, Binnema and Luke Peddie notched a time of 3:14.58. The Calgary Dinos claimed three U SPORTS national titles on Day 1. Fifth-year veteran Tristan Cote earned his fourth career podium finish in the gruelling men’s 400 IM, winning the event in 4:10.97. Second-year standout Danica Ludlow kicked off the night with a gold-medal finish in the women’s 200 freestyle in a time of 1:55.43, while third-year swimmer Robert Hill won his first career U SPORTS gold medal in the men’s 50 backstroke, touching the wall in 24.57. 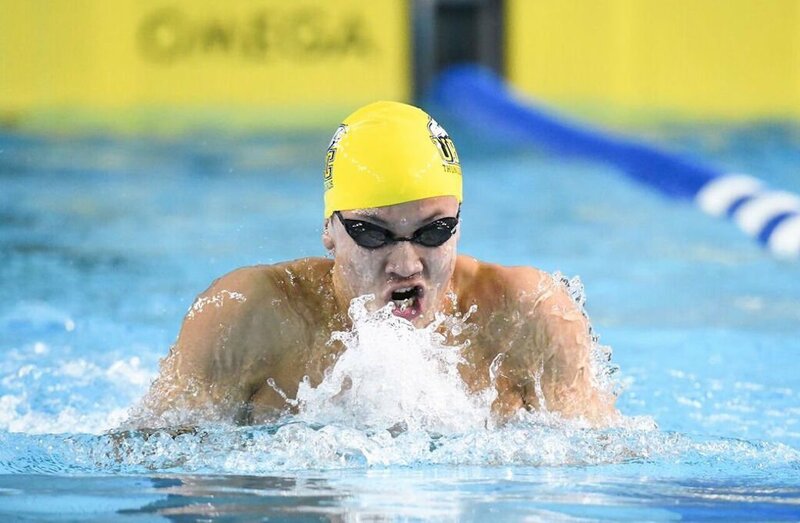 Fifth-year Varsity Blue Eli Wall, who is one of seven swimmers at the championships who will be representing Canada at the upcoming 2018 Commonwealth Games in Gold Coast, Australia, reclaimed the men’s 100m breaststroke national title in a time of 59.60 seconds. 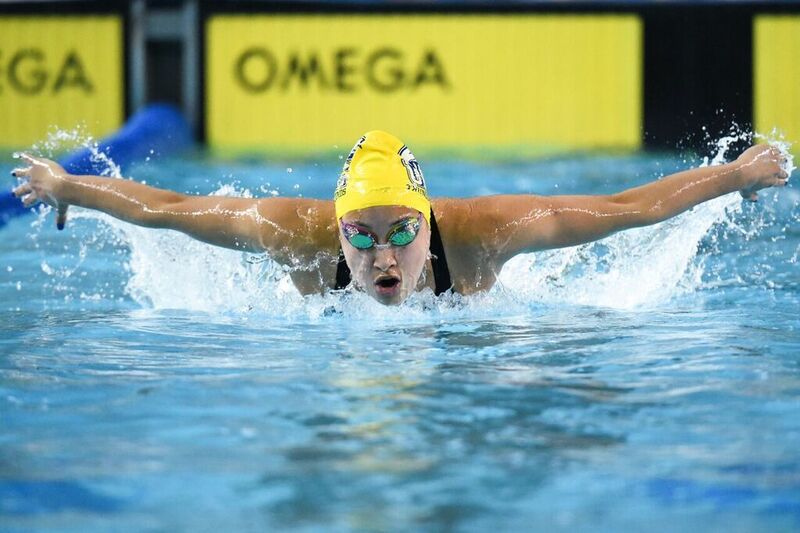 Manitoba Bisons star Kelsey Wog successfully defended her women’s 100 breaststroke title in 1:06.26, a full two seconds ahead of silver medalist Olivvya Chow of the McMaster Marauders. The 2018 U SPORTS Championships resume on Friday morning with preliminaries set for 10 a.m., and finals scheduled to begin at 6 p.m.